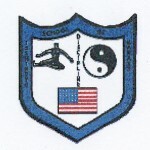 On March 1, 2008 Master William H. Duessel, 9th Degree Black Belt, with whom he has been studying since 1985, promoted him to 8th Degree Black Belt. He is one of 7 people who have earned this rank from the Isshinryu World Karate Association (IWKA). The promotions took place at Hanshi’s annual spring seminars in Pittsburgh, PA.